Field Session for Chatham County Beekeeping School. Photo by Debbie Roos. 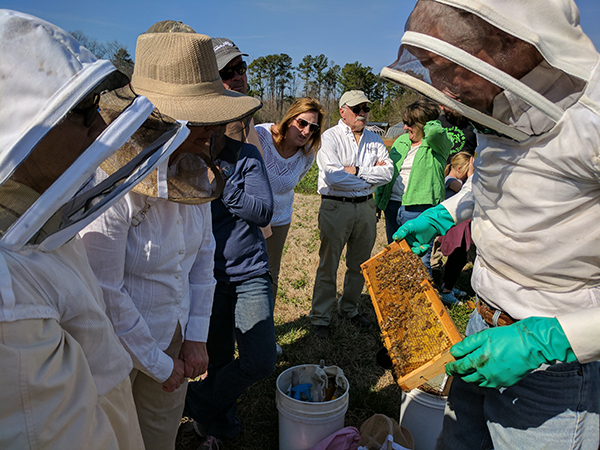 Date: Tuesdays, 6:30-9 p.m. from January 8-February 26, 2019; optional Ask a Beekeeper sessions begin at 6 p.m. before each class. The school will include hands-on sessions and hive inspections as weather permits. View the Course Outline below. The deadline for registration is November 20. For more information: Email Debbie Roos and put “Bee School” in the subject line. 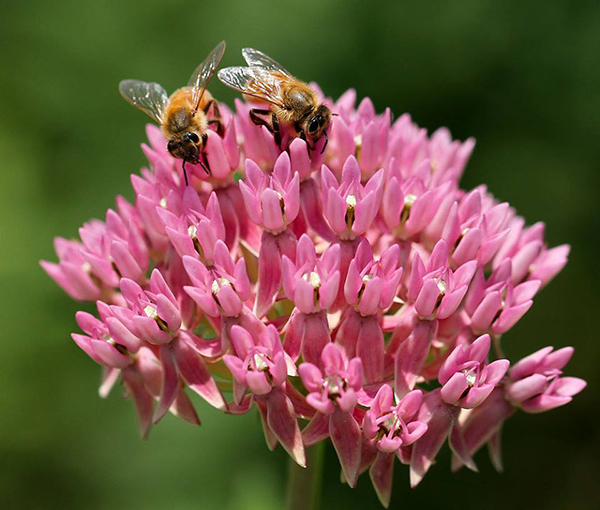 Honey bees on red milkweed. Photo by Debbie Roos. We will use this date for any make-up sessions due to inclement weather.